Room 20 @Sunnyhills: Vera's Dad Tim works for Waste Management! Tim trains drivers for these trucks. He talked to us about the trucks and their jobs. 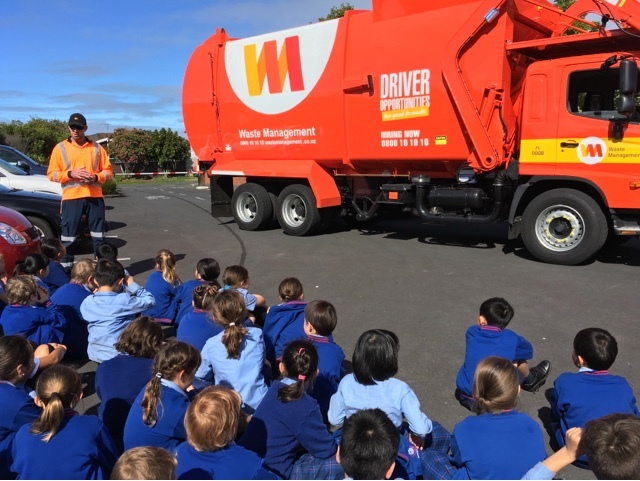 The children from R14 invited us to come and share in the talk and watch how the truck lifts the bin. These trucks pick up 22 tonnes a day and there are 12 trucks plus all the other commercial bins. Some of the rubbish can be recycled like wood for playgrounds, compost for gardens. Wow!That must be a lot of rubbish!!!! Interesting learning Room 20! Hi Room 20, wow that is a lot of rubbish. 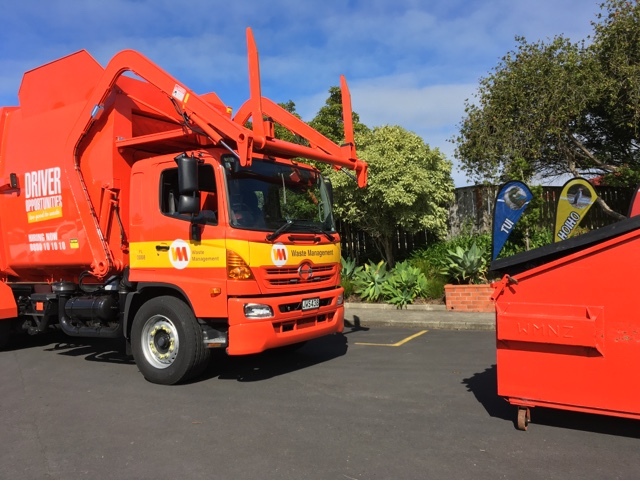 Hi Room 20 and Mrs Trembath, good learning, what was your favourite part of watching the truck lift the bin up? Can you tell me it?